Under Quality, click Evaluation Forms. Click [Evaluation name here]. Add a name for the evaluation form. In the Weight area, assign a percentage weight to the question group. For more information about weights, see Evaluation form weights. Display Conditionally—This option allows you to set criteria for whether this question group is shown. 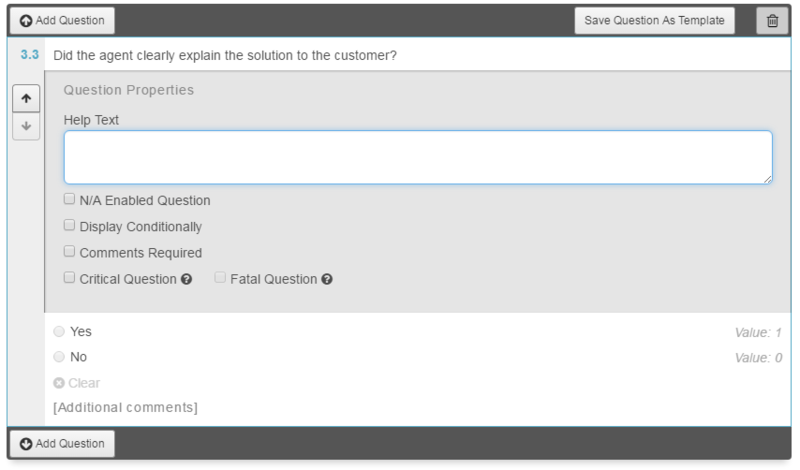 Select N/A Enabled Question (optional). In the evaluation form, an N/A check box appears. If the respondent selects N/A, then other choices in the question are cleared and unavailable. Select Display Conditionally (optional). 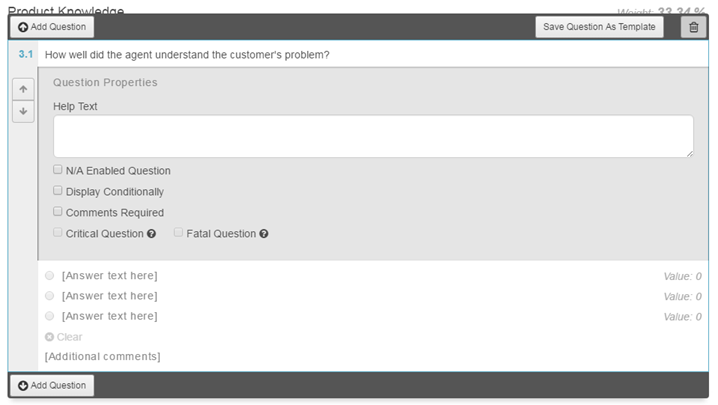 This option allows you to set criteria for whether this question is shown. Select Comments Required (optional). This selection requires a respondent to add comments after an answer. A yes/no question prompts the respondent for one answer. To add another question to this question group, click Add Question again. To add a new question group, click the name of the current question group. Click Add Question Group.